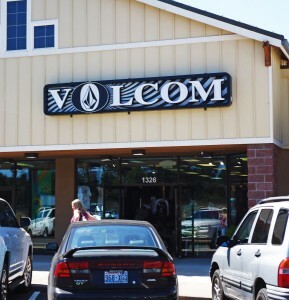 Volcom describes itself as “an innovative designer, marketer and distributor of premium quality young men’s and women’s clothing, accessories and related products under the Volcom brand name”. The products include t-shirts, fleece, bottoms, tops, jackets, boardshorts, denim and outerwear, incorporating combinations of fashion, functionality and athletic performance. The Volcom brand, is athlete-driven, creative and forward thinking.